BioBox-E B.V. is a company, which is engaged in the development, sales and realisation of biogas installations. 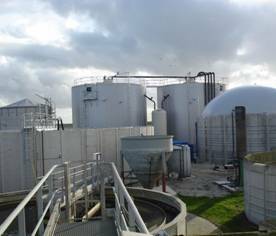 The company’s unique OGIN main process for the anaerobic digestion process is a mechanical one, similar to the digestion that occurs in ruminant animals. By exploring the possibilities of integrating a biogas installation into your company, we proceed to an initial offer for the delivery of a biogas installation. Industrial installations are not distinguishable from agricultural installations. Completely mixed as well as Plug-flow digesters are available and designed for specific situations where conformation to existing processes is needed. The amount of biogas and the appearance of your installation will be determined by the quality and composition of the raw materials. 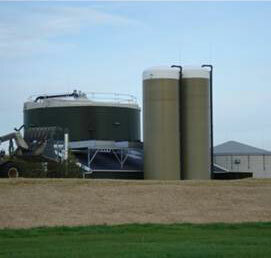 OGIN Biogas Technology can lead you in the development of the right composed prescription. Unique and innovative adjustments at the well known gasification processes, results to higher efficiency and increased production of higher quality Biogas. BioBox-E B.V. project developers and local governments work together to create a closed-loop of lifecycles for local area development and a lasting balance between living, feeding, and primary agricultural needs. 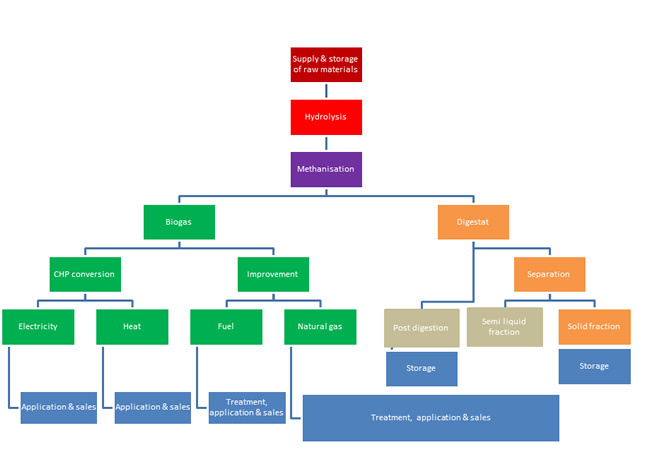 Research of the pre-treatment technique for raw materials to gain faster and better biogas production. Research and development of better calculation systems based on more general analyse methods to predict potential and realisable biogas productivity for a wide various types of substrates for biogas production. Take advantage of the enormous possibilities to exploit SEWAGE SLUDGE, AGRICULTURAL WASTES, MUNICIPAL SOLID WASTES, INDUSTRIAL WASTES by converting them to energy. The combination of this type of digester with a higher optimum temperature level, leads to a 4 times higher methane production, comparing to traditional biogas systems. process or b) by the use of an electrical driven mechanical mixer, inserted from the roof evoking a down flow process. The choice depends on the type of substrates being used. With over 30 years of experience in methanisation, BioBox-E B.V. has the OGIN expertise and know-how to design and install the ultimate solutions to each project. The process steps in a plug flow reactor are consecutive and lead to an unusually high productivity. These steel, polyester or concrete made tube shaped tank reactors are heated by the longitudinal stirring device. Depending on the size of the reactor, the stirring devices could be placed lengthwise or crosswise, having its electric or hydraulic drive units placed on the outside of the reactor. The Substrates being used can contain up to 30% of dry matter. The especially developed equipment used in the preparation of these substrates can easily be adapted to any specific combination of substrate type being used in the installation.